“Why do you want to work here?”…. In virtually every interview you will ever attend, this question or a variant of it, is likely to be asked. You may be asked why you want to work for this particular company, in this particular department, or why you want this particular job. And so too will every other candidate. 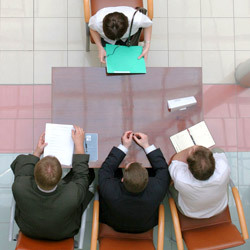 Make sure that you fully research the company and the job before your interview. Being able to answer this question proving that you are knowledgeable about them as an organisation, their mission statement, their training programmes, or the specifics of what this job entails and how you really want to work there, will of course impress the interviewer. It is fine to flatter them as an organisation and to extol the positive elements about this particular job. But remember, the interviewer already is well aware of these benefits, so make sure that you truly convey how and why these benefits appeal to you and make sure your enthusiasm is genuine. As well as detailing the positive aspects of the job and the company as indicated above, you should also use this question as an opportunity to detail some more positive aspects about you as a candidate. Think of some reasons why this job or company is a good match for your own skills, strengths and experience. Focus on the qualities you can bring to this role which will be of real benefit to the employer. Remember, you should use every opportunity in an interview to sell yourself , so this question is no different.